Automotive window tint can enhance your vehicle’s appearance, reduce heat and glare to provide a more comfortable interior and offer valuable protection against the unexpected. Look cool and feel even cooler with custom tinted windows featuring superior-quality film installed by Williams Enterprises. At Williams Enterprises we use only premier quality films which carries a manufacturer’s lifetime warranty and rejects the highest heat possible. Unlike other companies, our selection of film reflects more heat and possess superior clarity. When it comes to selecting the proper window film for your vehicle, the market is vast. But you want more than options. You want the right option. Choose Williams Enterprises to provide the ultimate installation backed by over 24 years of superior, worry free, installations. Quality and attention to detail will give you the confidence that you’ve made the best choice with installation from Williams Enterprises. We are an authorized 3M Paint Protection film provider. Protect your vehicle’s paint against nicks, abrasions, insect scratches, and winter’s damaging sand and salt with 3M Paint Protection film (clear bra). Designed to fit your vehicle without requiring drilled holes or fasteners, the clear bra covers the hood, mirrors and bumpers. In these times of high fuel prices, every opportunity for savings is important. 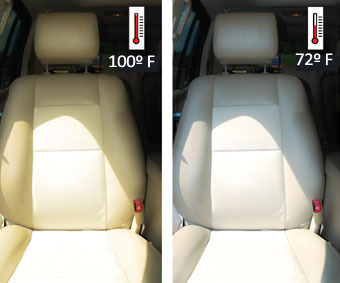 By reducing the interior temperature of your car, AIR 80 can reduce the need to run your vehicle’s cooling system, and that helps your car burn less fuel. Cool as ice: The subtle, ice-blue shade of film enhances your car’s appearance on the outside- and your car’s comfort on the inside. The best films require the best technicians. Even the highest quality films will not perform well if they are not professionally installed. Factory-trained technicians, at Williams Enterprises, lead the industry in leading edge installation technology. 3M films feature superior quality construction and comply with international laws and testing standards. Known for their patented scratch resistant, corrosion-resistant coating, 3M films are durable and virtually maintenance free. guaranteed for as long as you own your vehicle. I would recommend Williams Enterprise to anyone! Steve is very friendly and professional! Steve returned my call within 2 hours and got my car in just 2 days later!!! I have done business with him in the past and I will continue to do so in the future!